ARCONA Triad Pads are convenient cotton pads soaked in ARCONA's Cranberry Toner. Clean, tone and hydrate with the power of antioxidants and healthy botanicals. The result is balanced, glowing skin. Take these portable pads everywhere for a refreshing drink of cranberry whenever your skin needs it. Ideal for those desiring a natural toner in convenient cotton pads. Use any time to cleanse, tone or remove makeup. I love having pads with my toner since I travel and I don't have to carry a liquid and cotton. It leaves your face so moist and clean. I used both sides and you have enough for you entire face and neck. These are an absolute dream. They exfoliate and tone the skin to reveal beautiful, glowing skin underneath. They also smell amazing. I like to use them in the morning because they feel so refreshing and leave you looking refreshed! These are amazing. If you are short on time and need a quick wash, these pads are perfect. They smell great. You will feel refreshed and clean. Great for after a workout, a day in the sun or anytime you just feel you want a quick wash. Gentle and hydrating toning pads, these smell amazing and are the perfect toning pad to soothe and tone my normal to dry skin or any skin type. I use these when I don't have breakouts or need a really active toner but still want to balance my skin. They're great for the gym. Most makeup removers leave my skin dry and my eyes burning. I use these pads to remove the majority of my makeup before using one of the ARCONA cleansing bars. They are also perfect for a quick cleanse after the gym or gardening. Simply the most refreshing product. I use both soap and pads. Leaves the face 'squeaky' clean without drying out the skin. Great products with great ingredients! Rice Milk makes a difference I think! This cleans and tones w/o a bunch of alcohol. I think the rice milk really matters. I try other things but always come back to this. The fragrance is on the strong side though. I love using these pads because it does as it says: cleans, tones, and refreshes. The full effect is most visible and tangible after about 10 mins. My skin looks refreshed and feels soft, clean, and moisturized. 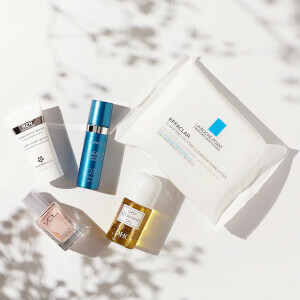 I still have to use a separate eye make-up remover and often I prefer to use a wipe to get most of the make up off my face before I apply these pads because I want the most out of the antioxidants and botanicals in the toner. I use them on nights when it's too late or I'm just too tired to go through my entire nightly routine. I also use these pads on the weekends in the AM when I'm planning on staying home. I personally choose to take sample packets and tubes of everything on my trips because jars and bottles are just a lot to deal with including the space they take in and weight they add. This jar is still pretty large, which I love for at home because it comes with 45 pads rather than less, but not so much to travel with.